Imagine heating your home, place of business, hot tub, swimming pool and clothes dryer with hot water for pennies on the dollar! 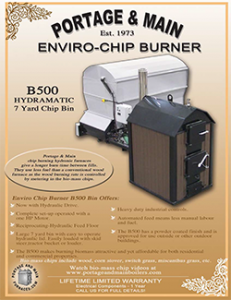 Hurt Enterprises delivers green energy solutions with Portage & Main Outdoor Boilers, powered by wood chips. These virtually smokeless burners meet EPA standards and are highly economical. Simple controls and non-proprietary parts means replacement parts are easily accessible. This solid investment in the environment and your home or business delivers completely automatic and effortless heat at your fingertips. • One ton of cord wood provides 4.2 million BTUs of heat (and a lot of physical labor) versus one ton of wood chips providing 6 million BTUs of heat and minimal physical effort. • One ton of wood chips costs $40.00 and can be delivered like oil. • Wood chips are a local renewable resource that enhances local business. • No dependence on foreign oil. • Completely safe total outdoors and fire safe. 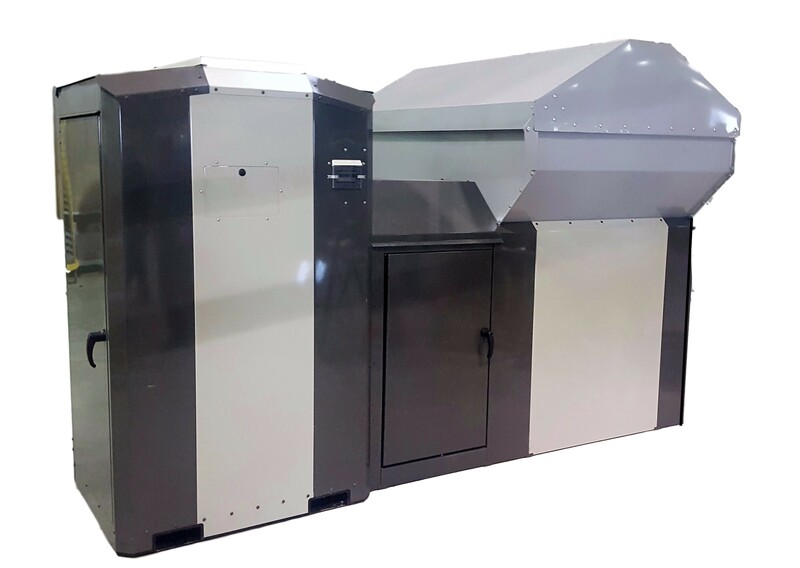 • The Tr iple Pass outdoor wood boiler produces hydronic heat which is heated water delivered to your home and transferred to your furnace or boiler. • Basement Pellet furnaces and coal burning equipment. • B500 (500,000 BTU Burner) supplies heat for commercial buildings, condominiums, large farms or multiple buildings on the same lot.